Thanks to everybody who entered our voting for the reader’s choice for The 2012 Orange Prize. Special thanks to all of you who posted reviews and comments on the book profile pages of all the longlisted and shortlisted titles. Here at TheReadingRoom.com we also had a hard time deciding on just one winner for The Orange Prize this year – the list of the candidates was fantastic. Half Blood Blues received 26% of all votes; second was State of Wonder with 24% of votes; there was a tie between The Song of Achilles and Painter of Silence: each received 18% of votes; The Forgotten Waltz received 9% of votes; and The Foreign Bodies ended up with 5% of votes. 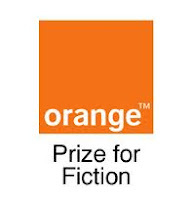 The official award winner of The 2012 OrangePrize is a debut novelist Madeline Miller for her book The Song of Achilles. She will receive £30,000 prize money for her stunning retelling of “a gripping and touching love story between the exiled princeling Patroclus and Achilles, strong, beautiful and the son of a goddess”, a novel that took her 10 years to complete.